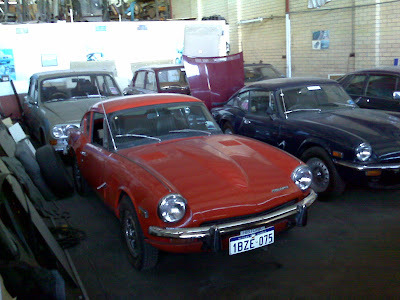 More happy snaps from the last week or so of assorted Trumphs at Markich Motors. 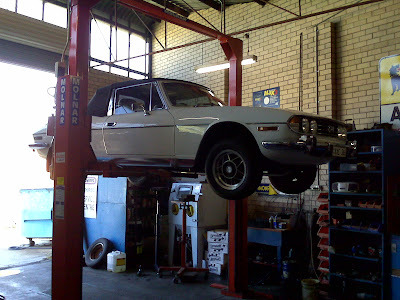 1977 Stag sold in 1978, one of the last 100 made and a part of a batch that nearly all got sent to Oz... most of these have odd bits fitted like USA reinforced bumper iron and this one has the wrong steering column. BL using up all the bits building the last batch??? Above and below. 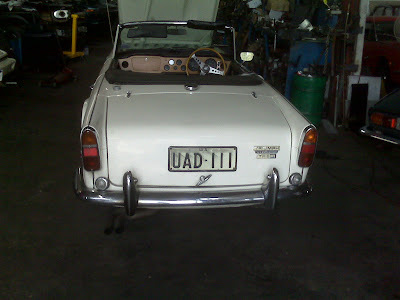 A customers '68 TR5 PI, WA delivered new and VERY original. 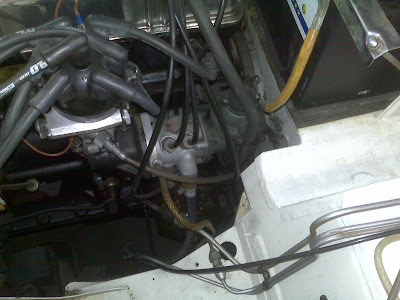 Still has the original metering unit (brass plug) !!! I want this car but not for sale. Nice selection for sale, i would have had that 2500S if it was a manual (and in Victoria) just for spares. 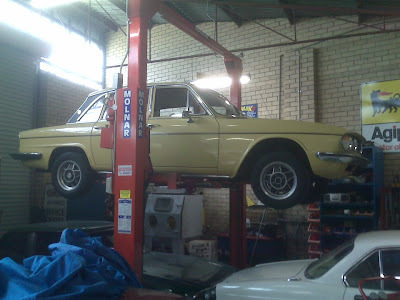 What sort of money is on the 1300, thats not just rare in WA they were never officially sold here, so I want one!, same goes for a 13/60 herald and 2500 estate.